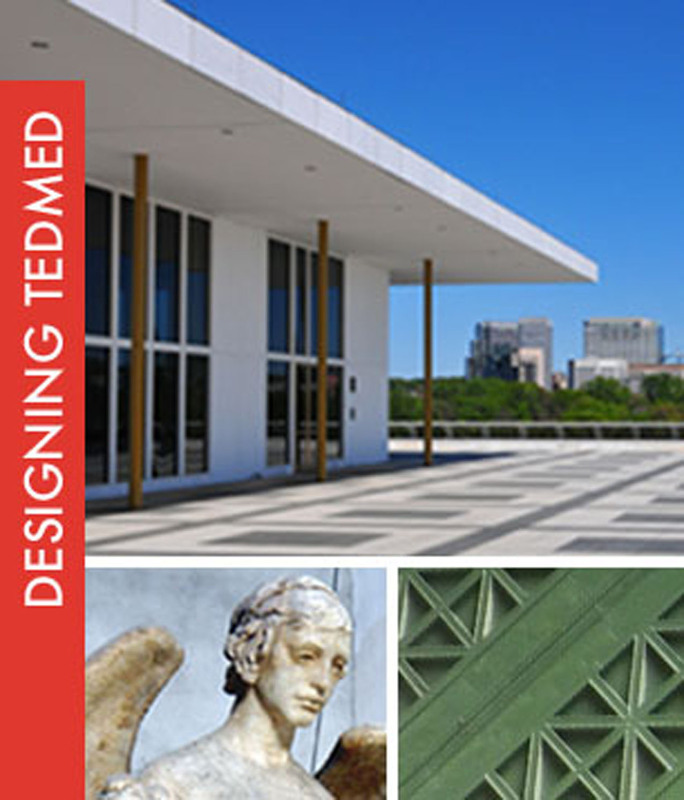 Stay Calm and Design the TEDMED Experience. Since my last post we have been busy designers! This year my involvement with TEDMED has been an expanded one. I am charged with both the overall experience design and the creative direction of this year’s event. It’s just a few short days away from becoming a reality. It gets a little trickier too. Besides my new role, which has been a blast, TEDMED is being hosted at two venues simultaneously. We jumped right in. Our goal of creating a remarkable experience at each venue is on-track, but it has not been without creative and strategic challenges. Consider the two venues, The Palace of Fine Arts in San Francisco and The Kennedy Center in Washington DC. Both are amazing places. Truly landmarks. The Palace of Fine Arts was created for the 1915 Panama-Pacific Exposition and has been nicely cared for and renovated in the past century. It is a grand facility. The Kennedy Center is an iconic structure housing multiple stages, halls, and performance venues. Also grand, but as a building designed in the late 1960’s it has a markedly different personality. Why two different locations at the same time? Both areas are hubs for medical research, innovations, leadership, policy, and funding. The live interaction between the two stages will be truly inspirational. But you can see the challenge. How do we design two entirely different spaces to interact with each other and share content seamlessly, all while ensuring the right experiences are occurring at each locale? We also put high value on conversations and connections away from the shared content. We had to intentionally design for those experiences as well. In the end, we had to determine what needed to be closely replicated at each location and where we would let each venue’s personality nuances shine uniquely. The additional challenges of these two spaces added complexity to our solutions but it will be a truly unique experience that was definitely worth the effort. It came together. We are counting down the days until we share this with the world.